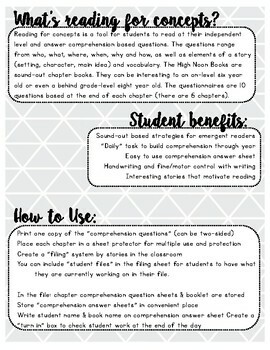 This is a 6 end of chapter comprehension test bundle in use with the High Noon Books. 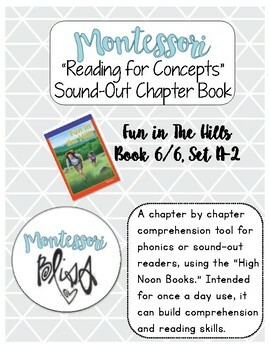 High Noon Books are a great resource for a Montessori classroom or phonetic based reading programs. These end of chapter tests are a good tool for students to use to build comprehension and test-taking skills, while meeting their reading level as a sound-out reader. 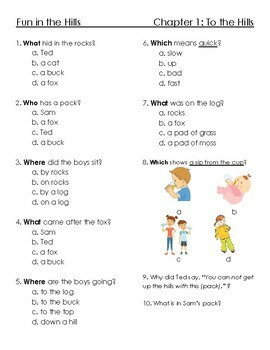 These comprehension tests are used in my multi-age classroom by both "on level" first graders and "behind level" third graders. The comprehension tests are laminated in sheet protectors and stored in our "reading for concepts" filing system, for students to work at their own pace. Printing the comprehension test once and laminating in sheet protectors cuts down on waste. 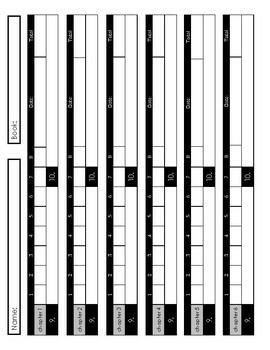 Students write their answers in an easy to use "answer sheet," that is even easier for teachers to check and monitor their progress. In a traditional or public classroom, these could be assigned to "literacy centers," or independent reading time.